Whether you are buying or selling a home, an inspection should be a top priority. Having an accurate home inspection will help you make the best decision about a purchase, or let you know what repairs a property may need before it is sold. We will complete a thorough inspection that will leave no stone unturned so you can rest knowing you have all the information you need. Our motto is “We do more than inspect – we educate.” By the time we're done inspecting your home, you'll know as much as we do about your property. We welcome our customers to join their inspector as they evaluate the property so they can see every detail firsthand. We don't stop there though, we will also advise you on how to repair or remediate any issues that are found. 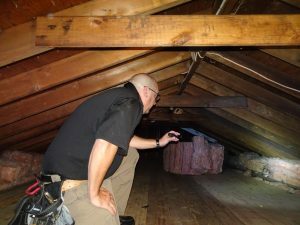 Our highly trained inspectors are state licensed in Connecticut and Massachusetts and certified by respected inspection organizations such as ASHI and NACHI. We are very proud of our owner and fearless leader David who has been recognized as a top inspection trainer in the country! His extensive experience and training have heightened our service quality and we bring that expertise to every inspection that we complete. You can learn more about our home inspections by calling us today! Our friendly staff will guide you on the services we feel are right for you. You can also go ahead and schedule your inspection online now if you’re ready to go. We would love to provide you the same great service that has made us the Angie’s List Super Service Award Winner for the last 7 years! We encourage our customers to join our home inspectors during the inspection process. Our inspections typically last anywhere from 3-4 hours while our inspector examines every accessible nook and cranny of the home. Feel free to ask any questions you have during the inspection, and make sure you wear protective clothing as you follow our inspector throughout the examination. Once the inspection is complete, you will receive a detailed, yet easily understandable computer-generated report, complete with digital photos. We will also include recommendations for remedies of any issues and the associated projected costs, so you can understand potential expenses before you make a buying decision. In addition to a comprehensive inspection report, you’ll also receive a copy of our Closing Walk Though Check List and exclusive Home Owner’s Guide. We are so confident of our exceptional service, that we offer our customers a 200% guarantee! What that means is, if for any reason you are not satisfied with your inspection, we will pay for another inspection with a home inspection company of your choice up to the amount of our fee. Now that's confidence you can trust! 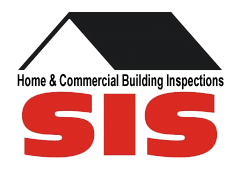 Speaking of trust, we'd like to share with you some previous customers that have trusted SIS for their home inspections: Professional hockey coach Jack Evans; hockey players Mark and Marty Howe sons of Gordie Howe; and entertainer 50 Cent. We'd love to offer you the same exceptional inspection service we've provided for our previous customers. I would recommend Sherwood Inspection Services over and over again. Sherwood inspection services made the whole process easy from scheduling the appointment to getting us the appointment and report in a timely manners. We went into the home inspection knowing nothing about houses and what to expect. Both of our home inspectors made us feel comfortable. They were both very knowledgeable on failed foundation issues. They were able to put technical terms into easy to understand layman language. He oversaw the whole process from beginning to the end including an interpretation of the lab results. We don't know where we would be without them. Thanks Sherwood Inspection Services!! !